Hotel des Buttes de Chaumont is a comfortable and stylish 2-star hotel, ideally located in the 19th arrondissement of Paris, close to the Park of Buttes de Chaumont. 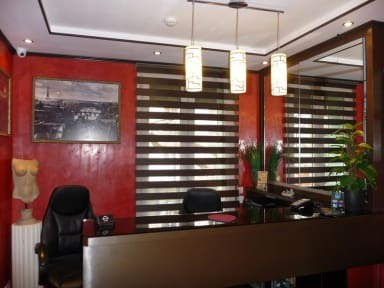 The property offers a 24-hour front desk, express check-out, and free newspapers are available. Wi-Fi in public areas is free. Other amenities include multilingual staff. Breakfast is served every morning from in the dining room. Hotel des Buttes de Chaumont is ideally located in the 19th arrondissement of Paris, close to the park of Buttes de Chaumont. The 19th arrondissement is a great choice for those who are interested in monuments, culture and gastronomy. The hotel is within a 15-minute walk of Place de la Bataille-de-Stalingrad and Park of Buttes Chaumont. Basilica of the Sacre Coeur of Paris and Picasso Museum are also within 3 km. 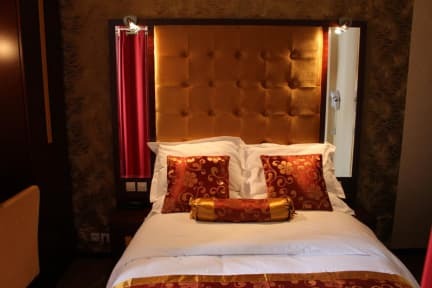 Hotel des Buttes de Chaumont offers 19 comfortable and stylish rooms, with private bathroom. All rooms are soundproofed and features free Wi-Fi, room service, satellite TV, hair dryers and phones. Breakfast not included. Extra-cost: 7 euros per person per day.